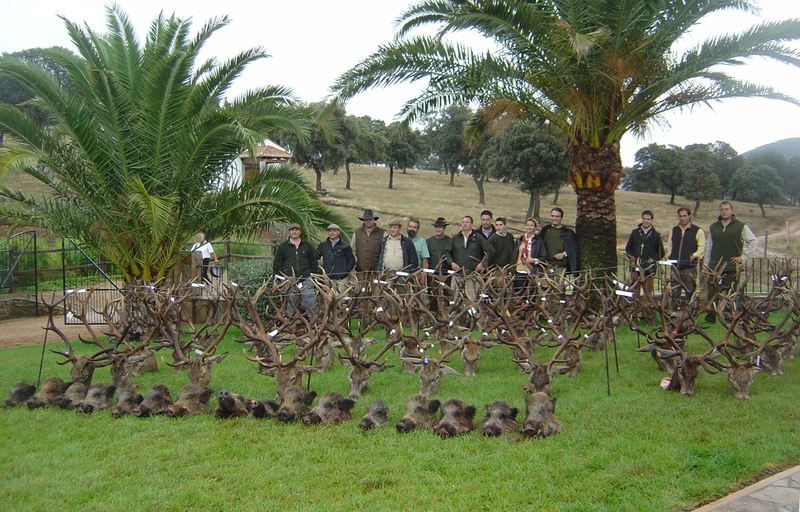 Monterías - Offer - Big Game Hunting Estate in Spain. "Los Claros"
Since XIV century montería has been the most emblematic, elaborated, preeminent and finest hunting method in Spain for big game. It is a complex driven hunt done with 20-40 beaters and many dogs (rehalas) usually 25-30 per beater, just for a few number of hunters, 20-50. 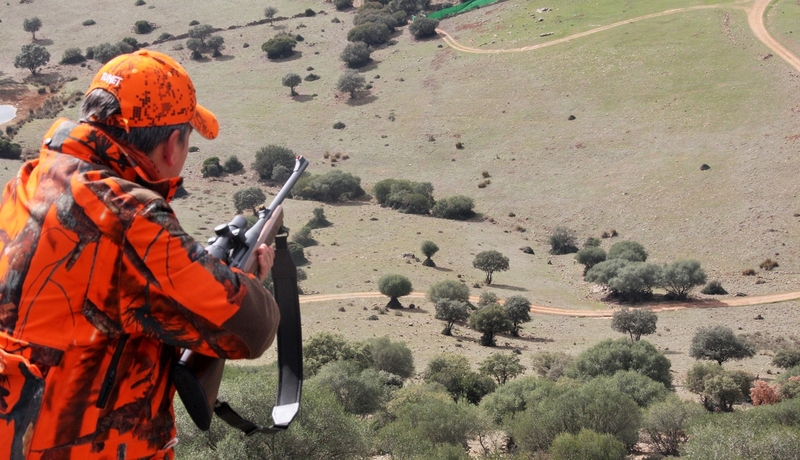 This is the best way to control wild ungulates populations in our wildest Spanish territories. Come and enjoy this exciting and unique in the world and heavy full of ancient knowledge, Spanish driven hunts monterías, as it has been done since centuries ago. So you will have the rare opportunity of been part of one of the oldest and more sophisticated ways of hunting in the world, and this way you will become supporters and actors of this fantastic part of hunting history. If you want, you can learn more about monterías. Traditional montería on free range area. These are the cheapest of monterías offer, because captures are not warranted. That is, quantity of animals and quality of trophies are low or very low. Nobody can warranty a good result, but these are the most common between local Spanish hunters because prices (usually < 1.160 USD/day) and hunters normally do not have limit on captures. Hunting area can be more than 1.500 acres. Dates are set one year in advance by local hunters. Please ask for the next season calendar of monterias. Traditional montería on a fenced hunting estate. These are the most common for all hunters, Spaniards and foreign hunters. In some cases a certain number of animals can be warranted to be hunted. Prices depend not only on the quota of animals to hunt per hunter, but also on the quality of trophies and the warranties on captures. Prices are from 1.740 USD to more than 6.000 USD/day per hunter. Hunting area usually is 1.200 acres. Please ask for the next season calendar of monterias. Ganchos (small monterías) for few hunters. Small groups of 7 to 10 hunters. Hunting area normally is 600 acres. The number of beaters and dogs is much fewer. Usually number and quality of trophies can be warranted in advance by agreement, as well as dates. Ask now: Gancho or small montería can be arranged under request. 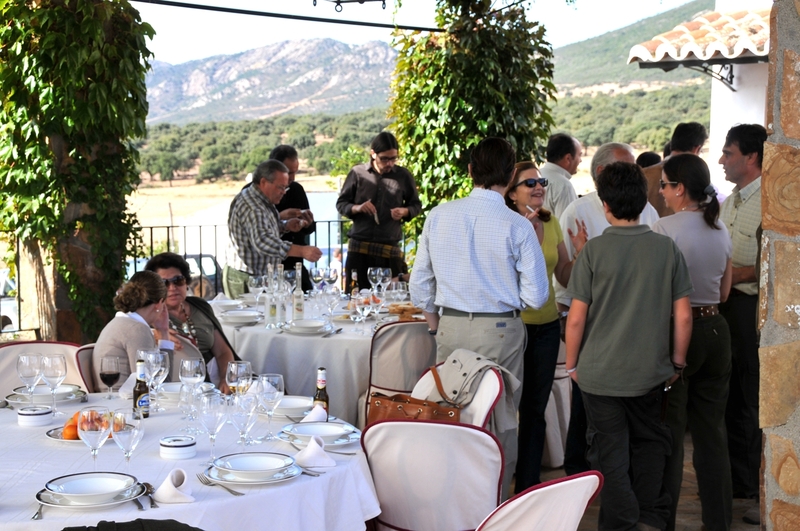 The "Ancient montería" at "Valmayor”. This kind of montería is the most special one that you can find in Spain. Only "Valmayor estate" organizes it in the World. It requires many days and much more preparation. Lot of employees are involved as well as horses, dogs, and assistant people for the hunters. That's the reason why “Ancient montería” must be prepared under request. You will live montería as it was celebrate centuries ago, living in austere conditions in the same hunting ground. With uncertain captures, but loaded of unforgettable emotions that only aristocracy enjoyed for centuries. All these exciting experiences have made possible the survival of this ancient tradition to this day. Please ask for more info about the ancient monterías.